OsteoFab® implants are produced using our proprietary 3D printing process. Our implants can be designed directly from a patient’s imaging (MRI or CT scan) for custom solutions, or using traditional design methods for series production of 3D printed standard implants. The complex designs made possible by our OsteoFab®technology help reduce intricate assemblies, eliminate manufacturing tooling, and prevent the need for coating or other post processing surface modification. 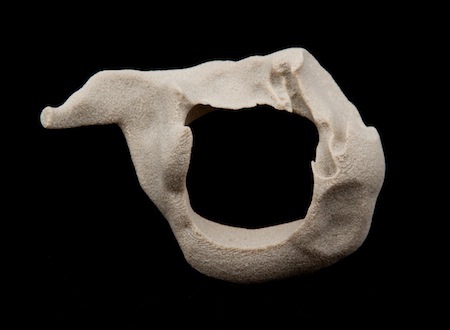 Utilizing the most advanced biocompatible materials and manufacturing technology, our OsteoFab® process can reproduce exactly what you design, or exactly what nature intended, by "printing" medical implants for a perfect anatomical fit. 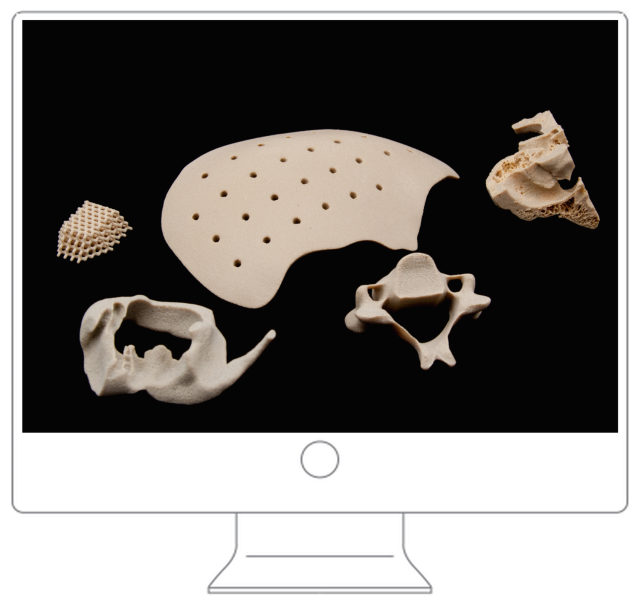 However, this technology allows us to go beyond merely replicating shapes: we also have the ability to meet specific performance requirements as anatomically applicable. 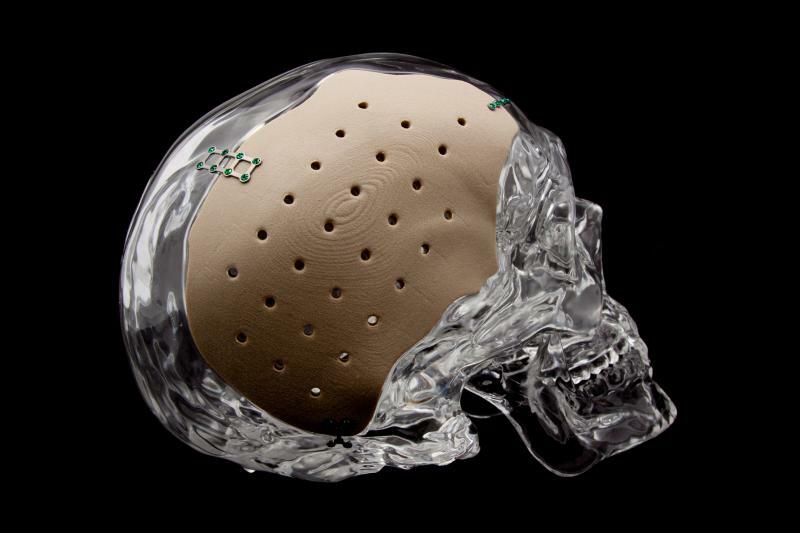 The OsteoFab® Patient Specific Cranial Device (OPSCD) is intended for the replacement of bony voids in the cranial skeleton. The OPSCD is constructed with the use of the patient’s CT imaging data and computer aided design to determine the dimensions of each implant. 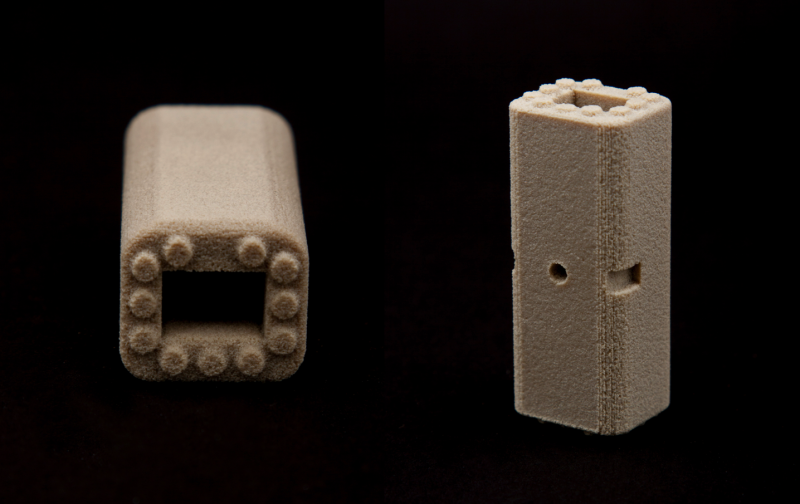 The device is then manufactured via the OsteoFab® 3D printing laser sintering process. The OPSCD is attached to native bone with commercially available cranioplasty fixation systems and is a non-load bearing, single use device that is sterilized at the healthcare facility using validated steam sterilization cycles. The OsteoFab® Patient Specific Facial Device (OPSFD) is individually designed for each patient for enhancement, to correct trauma, and/or to correct defects in facial bone. The OPSFD is also designed individually for non-load bearing enhancement of mandibular bone. The OPSFD is constructed with the use of the patient’s CT imaging data and computer aided design to determine the dimensions of each implant; the device is then manufactured via the OsteoFab® 3D printing laser sintering process. The OPSFD is attached to native bone with commercially available fixation systems and it is a single use, permanent implant that is non-load bearing and does not impart mechanical strength to the implant area. The OPSFD is sterilized at the healthcare facility using validated steam sterilization cycles. The SpineFab® Vertebral Body Replacement (VBR) System is intended for use in the thoracolumbar spine (T1â€L5) to replace a collapsed, damaged, or unstable vertebral body due to tumor or trauma (i.e. fracture). The VBR device is intended for use with autograft and/or allograft bone graft material and must be used with supplemental fixation systems. SpineFab® VBR implants are nonâ€custom implants manufactured via the OsteoFab® 3D printing laser melting process and come in a broad range of sizes: three footprint sizes, each with multiple height options ranging from 15 to 50mm that come in either parallel (0°) or lordotic (7°) configurations. The SpineFab® VBR is a single use, load bearing device that is sterilized at the healthcare facility using validated steam sterilization cycles. OPM has achieved compliance to world class quality standards by obtaining ISO 9001, AS 9100C, and ISO 13485 certifications. The world class standards also include compliance to FDA cGMP requirements. We take great pride in our ability to meet regulatory and customer requirements in the world's most demanding and regulated industries. Our quality certifications specifically include products manufactured via injection molding, extrusion, or laser sintering for medical device, aviation, space, defense, and general industries.